So I’ve been doing a fair bit of travelling this past month and it’s taken me all over Japan and Southeast Asia. In preparation for my trip I packed my bags two whole days before. Now, that’s pretty organised for me – when I came to Japan I was still frantically stuffing odds and ends into my case the night before. 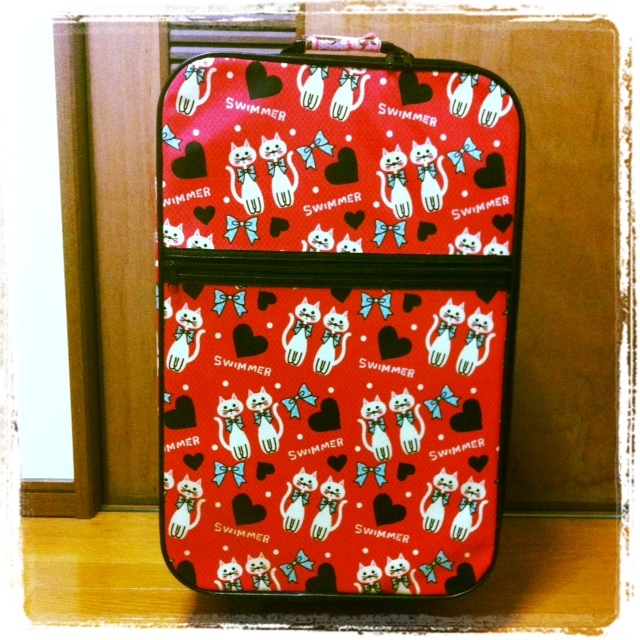 Here’s my trusty suitcase that I got from super-cute Japanese store “Swimmer”. It was such a blessing having a case that stood out so much as I never had that awkward case mix-up when it came round the conveyer belt. Trusty old “Swimmer” stuffed full of holiday goodies. 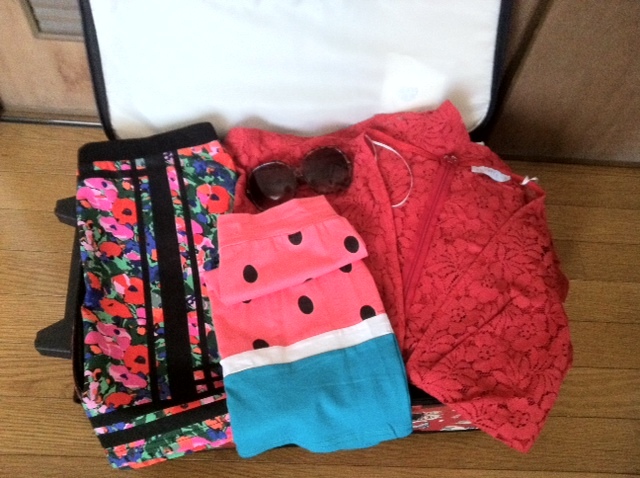 Especially love my watermelon skirt – so summery. I got all of these clothes off of Australian online store “Beginning Boutique”, they sell such gorgeous clothing! We headed to Osaka airport to board our Air Asia flight bound for Phuket, Thailand. It was the first time I’d flown with that airline and as they’re technically the Ryanair of Asia, I was a little bit worried. I haven’t had great experiences with cheap European airlines like Ryanair and while EasyJet is much preferable, it still isn’t amazing. I was so surprised when we boarded our Air Asia flight as the plane was brand-spanking new and complete with funky red and cream leather seats. It wasn’t a direct flight to Phuket, we had to go via Kuala Lumpur and even though the flight the Kuala Lumpur was technically long-haul (around 7 hours), there was no complimentary water, meal or anything. There were even signs banning food or drinks not bought on the plane. I thought that was a little harsh but our flight of 2987 miles was only around £100 so I can’t really complain at forking out a few quid for some refreshments. There was even the option to hire a tablet PC for about £20 with all the latest movies. 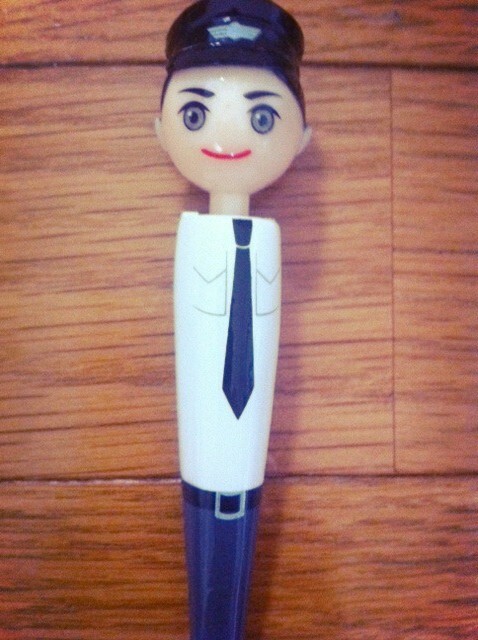 The in-flight tat shop was also pretty good and on the way home I had some shrapnel left that wasn’t worth changing back into yen so I treated myself to a cute pilot pen. Meet Charles, the coolest pilot in town. Air Asia are a Malaysian airline and portray a very fashionable, lively image that’s very refreshing. 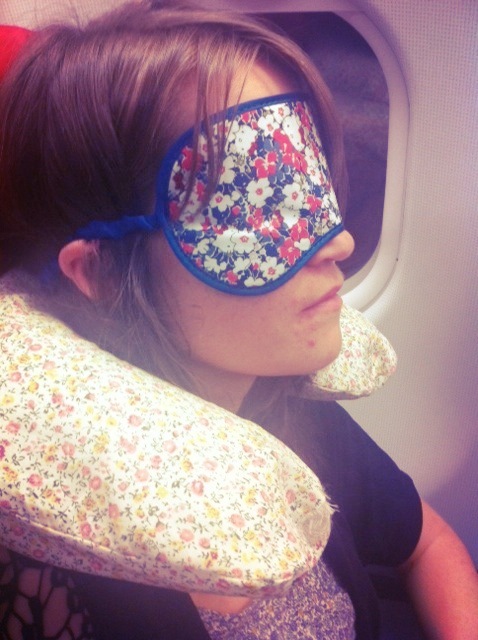 Most airlines I’ve flown with recently feel really tired and worn out. When I flew home from Japan last Christmas with BA the plane was absolutely disgusting and didn’t look like it had been cleaned in months. There was even an old battleaxe shouting at all the passengers from her seat by the emergency exit. Between looking at her ripped tights and the old tea stains on my stowed-away tray, I wish I’d spent my hard earned savings on another airline. The brand new Air Asia plane was a million miles away from that archaic BA rust-bucket. The cabin crew were all very young and trendy and when they weren’t pointing out emergency exits they could easily have been models. A few also seemed to have the ego of models and there was a definite “Mean Girls” attitude in the way the bossed each other around. All in all it was a very comfortable and enjoyable flight with Air Asia. The puffy leather seats were great and there was considerably more leg room compared to most airlines I’ve flown with. The only downside was the ignoramus sat next to us who was playing a Call of Duty style game on his IPad at full volume and with no headphones in. Who does that? I was tempted to hand him my headphones but I opted to listen to some music to drown out the incessant sound of machine guns. Just trying to relax when war breaks out in the seat next to me. I agree in part with you about BA. The plane I flew on have a dated I interior, and the screen quality was so poor I almost didn’t watch anything on it! But BA did provide me with a free flight, so I shouldn’t really complain! Virgin Atlantic on the other hand provided a faultless service and the movies they had were incredible! Haha you know, when I was writing that I did think about your experience and remembered they’re not all that bad! Perhaps we flew on the same plane? Was it the one going to London that was dated? Our screens were also terrible and the movie selection was practically non-existent. On the way back to Japan that Christmas we got a nicer one with new screens. They should definitely condemn that old rust-bucket lol.